When you are planning your next big adventure, consider spending some time at your favorite bed and breakfast in North Wildwood, New Jersey. Post Hurricane Sandy, North Wildwood, NJ is ready for visitors and here are BBOnline's favorite picks of things to do and see during your visit. What began as a warning to ships at sea, that they were nearing the harbor in the 1840s, has become a treasured landmark to the New Jersey shore. 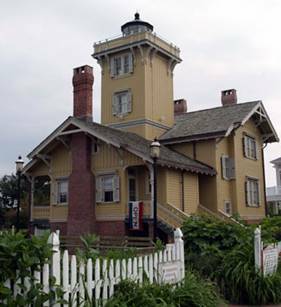 The Hereford Inlet Lighthouse features a beautiful period residential style lighthouse - meaning it was built to be the light keeper's home and the warning light. Although now the lighthouse is a museum and no one lives in it, the light on top still serves sailors and automatically comes on at dusk. Visitors to the Hereford Inlet Lighthouse may tour the facility. During the months of Oct 20th through May 23rd the lighthouse is open Wednesday through Sunday from 10am to 2pm. During the months of May 24th to October 21st the lighthouse is open 7 days a week from 9am to 5pm. Admission is $4 for Adults ages 12 and up and $1 Children ages 11 and younger. The Wildwood Beach Shore is less than two miles from the North Wildwood city center and was established during the New Jersey Doo-Wop era of the 50s and 60s. Repeatedly named the best beach in New Jersey and one of the best beaches in the U.S. by Condé Nast Traveler and the Travel Channel; you cannot go wrong if you plan to spend your day on Wildwood Beach! These white powder beaches offer a variety of beach sport activity, as well as host some of the best beach concerts throughout the year. 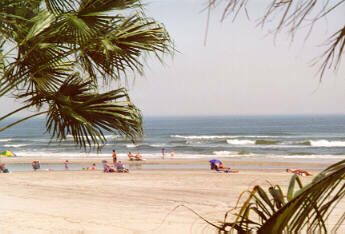 Wildwood Beach is always free and you do not need a pass or tag to get onto the beach. Whether you want to soak up some rays and relax, or spend the day working up a sweat playing volleyball, surfing or sailing; Wildwood Beach is the place to be! Morey's Pier is synonymous with the New Jersey Boardwalk. 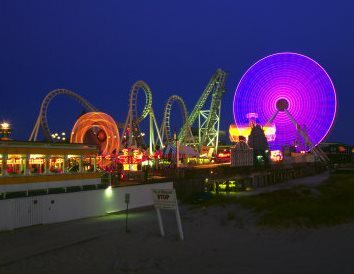 With 5 piers that stretch the two mile length of the Boardwalk; Morey's Pier is host to the Great White Roller Coaster in Adventure Pier and the Can Am Raceway and Sea Serpent rides from Mariner's Landing Pier. Other piers offer children's activities, water activities and water parks such as Giggle Bay and more. The Morey Brothers' got their amusement park start in the 1960s when they purchased a huge fiberglass slide called "the Wipe Out." Over the decades since, they have added to their Pier attractions. Today, Morey's Pier invites land and sea fun for the whole family! Visitors to Morey's Pier may purchase amusement park and water ark passes to be used the same day or separate days. Wristband prices range from $52 to $66. Have you ever visited Morey's Pier in Wildwood, New Jersey? Tell us all about your trip at Facebook!